Disney Vacation Club Members planning their Disney World trips often ask which resorts will allow them to get the most length of stay with their points. And prospective Members also tend to ask this when considering which resort to choose as their Home Resort as well. Below is a chart for each season on the DVC calendar. Each chart ranks #1 – #3 the top resorts for stretching your DVC points based on a weekly stay for the 4 main DVC room types: Studio, One-Bedroom, Two-Bedroom and Grand Villa. Additionally, a theoretical cost is provided, which simply takes the number of points for the stay and multiplies that number by the cost per point per year to own at that particular resort. For more details on how the cost per point per year is derived for each DVC resort, please see Proposed 2018 DVC Annual Dues and its Economic Impact to Owning DVC. Animal Kingdom and Old Key West appeared more than any other WDW DVC Resorts in ranking the fewest points required. Regardless of the season, Animal Kingdom consistently took the top ranking for Studios, One-Bedrooms and Two-Bedrooms and Old Key West regularly took the top spot for a Grand Villa Accommodation. The main reason for Animal Kingdom’s high rankings were due to the unique room type they have, referred to as “Value”. At Animal Kingdom, hotel rooms originally at Jambo House that were converted to DVC rooms were smaller than the typical DVC accommodations and thus got considered “Value” rooms. As a result, as their name indicates, they provide a tremendous value as they not only require some of fewest points in the entire DVC network, but the majority of those rooms still face the famed savannahs at the Animal Kingdom Resort. Very importantly though, if you intend on taking advantage of Value rooms at Animal Kingdom less than 10% of the rooms are in this category, and consequently it can be difficult to get without Home Resort Priority at Animal Kingdom. As a result, making ownership at Animal Kingdom critical to staying in Animal Kingdom Value rooms on a regular basis. It should be no surprise to many DVC Member veterans that Old Key West is appearing frequently on the charts for the fewest points usage. Old Key West was the original DVC Resort, and it has been often said it was created before Disney knew exactly what they were doing in the world of timeshares. This statement has often been said as Old Key West rooms were made 20% larger than most other timeshares with point charts that are considered historically low when compared to DVC Resorts that have came since. 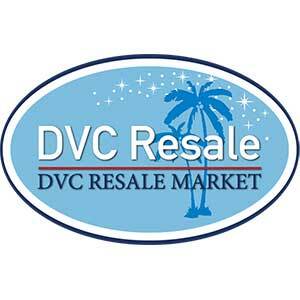 Click to view DVC Resale Market’s current listings.